When watching the Soccer Worldcup you can't avoid wondering about the VuvuZela, the continuous sub-sound that gets somewhat annoying after a short while. Since it is ubiquitous in Soccer game, the spirited folks at YouTube added a (temporary?) 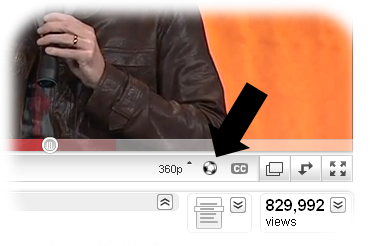 option to their video player to add the sub-sound to every video. Thankfully, and different from reality, the default is "off".